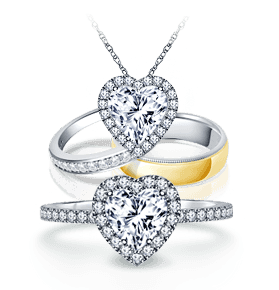 At B2C Jewels, we pride ourselves on great customer service and satisfaction. Read our testimonials below, or view video testimonials on what some of our satisfied customers have to say about their experience with us. We would also love to hear from you and get your feedback. You can also read what customers have to say about us on various online review sites.We welcome you to submit and share your experience to help other shoppers make better decisions about their future purchases. Sarven and his team are fantastic. They are incredibly knowledgeable, highly skilled, and very professional. 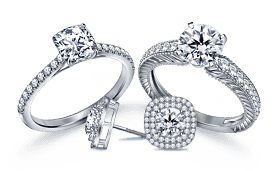 There is no other jeweler that I would recommend. B2C Jewels is a reputable and provides excellent customer services. The price is lower than some others on line jewelry. Thank you Samuels and Simons for your help to make the sales transaction goes smoothly. Your guys are great and keep up with 5 stars rating. Good experience to buy diamond at b2c jewels. Thanks to customer service team give me advice to make decision. As an educated consumer, I compare quality, prices and customer service. I contacted several jewelers in CA, IA (my state) and NYC, and B2C had it all. Samuel is a total asset to your company; product knowledge, experience, patience and above all, excellent customer service. The diamond is exactly what we were looking for. The ring setting, however, was not as thick/wide as what it appeared to look like online. When contacting Samuel to inform him he requested we return the full set back, without making us feel bad. And as soon as he has our $12M diamond removed from the setting, he promised to re-ship it back to us. Thank you, Samuel. I ordered a custom engagement ring on B2C and it was FANTASTIC! My fiance was stunned by it's beauty, and I can't be any happier! The 'live chat' feature was extremely helpful during the buying/shipping process. B2C will be the first place I turn to for all of my future purchases! We decided to purchase my diamond ring from b2c jewels based on research I had done online. Just received it in the mail yesterday & I'm very happy & satisfied. Samuel & his team were very helpful in making sure I was getting my monies worth. I was very appreciative that they didn't just sell me "whatever"; they emailed to let me know the diamond I had originally chose may not be the best one and actually took the time to pick out something better for me. Transaction was very easy, they respond right away whether via email or telephone. I would definitely recommend b2c jewels to everyone and continue to do business them. Thank you again Samuel & team. I absolutely love my diamond ring. 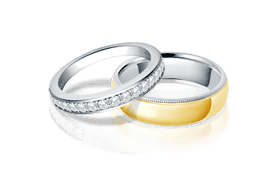 We purchased an engagement ring through B2C Jewels. Their prices were more than competitive with other online sources. The bigger factor was the knowledge and service during the selection and buying process. This a big and important purchase (and phase) for any couple and therefore stressful. Jack and B2C staff were exceptionally helpful. We are on the west coast but that made no difference in the service. No matter when we called for information - morning, evening, weekend - we got a person that was familiar with our order and status. So we got instant answers. When the staff member didn't have an answer to a gemology question, they got back to us very quickly after getting to a gem expert. It was indeed a pleasure to work with this company. Thank you! I recently purchased a diamond ring from b2c jewels and I absolutely love my ring!!! Samuel and his team were very helpful and knowledgeable. The stone I had first picked out wasn't the best quality, he contacted me right away and gave me recommendations for better stones. I appreciate that they didn't sell just "anything" to me. They made sure I was getting my monies worth. Five stars for quick communication as well. They respond right away via email or telephone. Such a pleasant buying experience. I look forward to doing business with them in the future. Thank you again, Samuel and team. Great price on a flawless diamond! I searched for a month before I decided on B2C Jewels. Thanks for the great transaction! Great customer service, great diamonds, great company!